When you are struggling to sleep, you will try anything right? From potions and tonics to new bedding and white noise machines, but have you tried yoga? Sleep deprivation is a real issue as it can affect your brain cells, your body, your mood and your whole life. So if a downwards facing dog is what is going to help, roll out that mat and let’s get going! Yoga can help aid the release of toxins in your tissues and organs to revive your body, while the breathing exercises will increase the circulation of oxygen. To get the most out of your practice and help you have a sound sleep, do a few minutes of yoga right before bedtime. Start with a short meditation before working on twisting and bending poses, such as happy baby, seated twists, and knees-to-chest. Really focus on your breathing and letting go of the stress of the day. It’s hard to sleep when your mind is racing, and we are the worst for switching off before we go to bed – after all, there is so much of the internet to scroll through! Stress, coupled with a lack of sleep, can cause issues with your immune system and digestion and so it is important to keep your anxiety levels down where possible. Luckily, yoga is a stress-busting superhero and can help lower your heart rate, blood pressure and stress levels all at once! Exactly what you need for a good night’s slumber. Your central nervous system is essentially the key to sleep. The change in hormone levels in the brain that comes with sleep puts the central nervous system in a different mode, and without this, we stay awake. Luckily, our old friend yoga can also aid in the process by stimulating the glands that release these hormones and increasing blood flow to the sleep center of the brain. Who would have thought that some stretches and balancing could be so important! Let’s not pretend that we don’t all spend at least some time laying in bed scrolling through our phones or tablets, or just watching TV and then wonder why we just can’t seem to drift off. There is science behind this phenomenon, and it’s not just the fact that these things stimulate us and keep our brains active. The blue light that comes from the screens we use convinces our brains that it is daytime, which causes it to release the stress hormone, cortisol, making it hard to sleep. Make an effort to turn your phone off, or at least stop using it about an hour before bed and finish off your nightly routine with a few yoga poses instead to get you in the right frame of mind for sleeping. 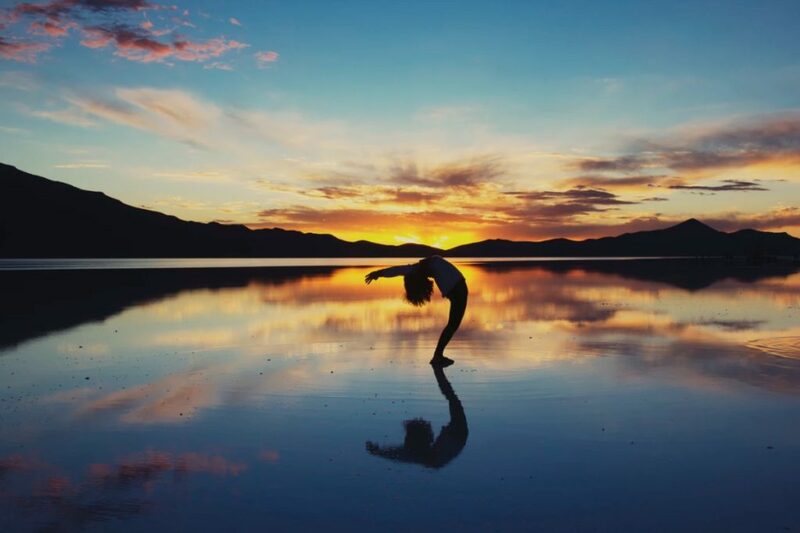 There are so many reasons that yoga is the insomniacs secret weapon! Physical effects such as a lower heart rate and stimulating hormone releasing glands are incredibly important, but of course, so are the mental effects such as a reduction in stress and anxiety which will help your mind shut off when you are trying to get to sleep. So tonight, instead of tossing and turning for hours, start a nighttime routine which doesn’t include your phone but does involve a few minutes of yoga. You can thank us in the morning!